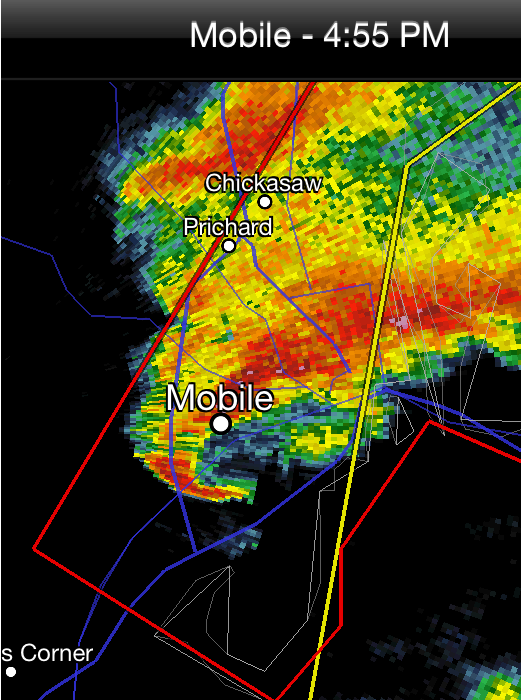 5:03pm: Large tornado reported on the ground in Mobile! Call your friends and relatives! There is a tornado in Mobile according to reports. Classic hook echo moving NNE to NE. Take cover! Other tornado warnings (red polygons) throughout the South. 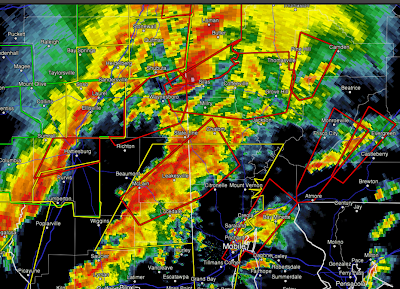 Updated radar with warnings below.